NEW YORK (CBSNewYork) — Apparently the sky’s not the limit, but the New York state line is when it comes to setting safety rules for doors-off sightseeing helicopter tours like the one which led to five deaths last month. There’s no question that David Hopkins, senior director of aviation at New York City Economic Development Corporation, was on the hot seat Wednesday at a city council hearing on helicopters – and it was a hearing that quickly spun out of control, reports CBS2’s Marcia Kramer. Hopkins said that in the wake of the crash, the Economic Development Corporation, which regulates helicopters in New York city, had reached an agreement with the operators of the downtown heliport to ban all doors-off sightseeing tours. The problem is the agreement only affects flights leaving from the New York City-controlled heliports. The decision had no impact on helicopters taking off from the other side of the river. The helicopter that crashed took off from New Jersey. Paul Vallone, the council member representing District 19 in northeast Queens and chair of the meeting, was not happy with the city’s decision. After the hearing, an EDC spokesperson told Kramer the agency’s next step will be to talk to the FAA, New Jersey and other neighboring states to explore ways to improve air safety in the Tri-State area. 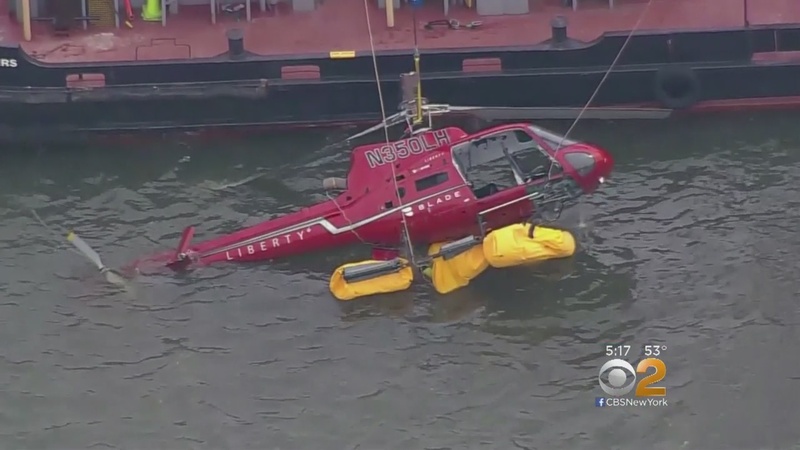 On March 11, a Liberty Helicopters flight booked by FlyNYON tours crashed into the East River and killed 26-year-old Brian McDaniel, a firefighter from Dallas; 34-year-old Daniel Thompson; 29-year-old Tristian Hill; 26-year-old Trevor Cadigan; and 29-year-old Carla Vallejos Blanco. The pilot — Richard Vance, 33, of Danbury, Conn. — survived and told police that a passenger’s harness had caught on the emergency fuel kill switch. After the crash, the FAA issued an order banning the kind of harnesses that were used during the doors-off flight, because they could not be quickly released.